Accommodation at Grand Mirah Boutique Hotel is a combination of 32 rooms and suites in a choice of different categories. 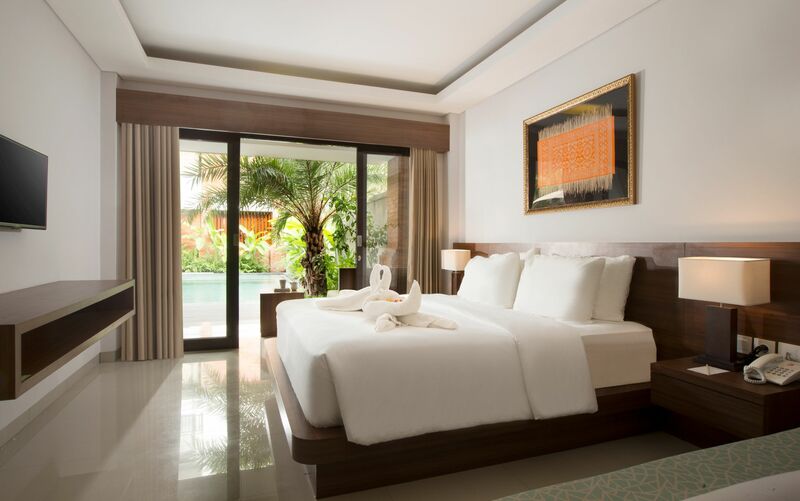 Each room is styled for personal comfort with a modern Balinese decor featuring customized furnishings, essential amenities and statement artworks. *Connecting rooms are available for the convenience of families and friends travelling together. 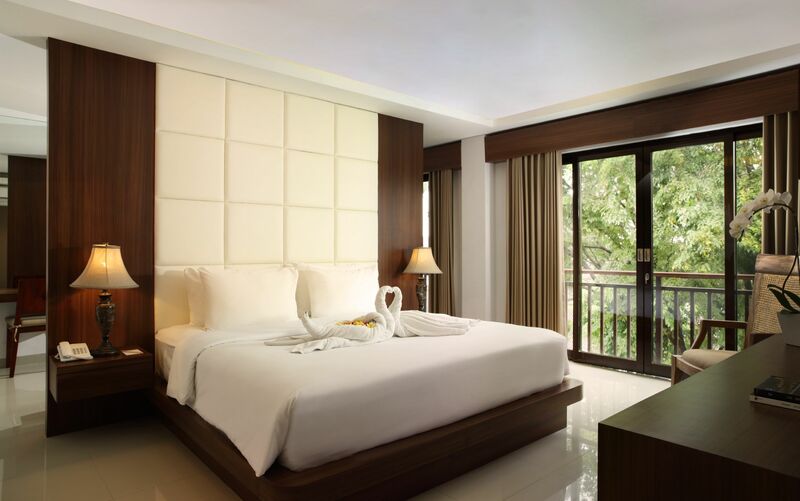 This tastefully-appointed category comes complete with modern home comforts to ensure a quality stay. An understated decor, highlighted by wood and neutral shades, promotes heightened relaxation. The en-suite bathroom has separate tub and shower facilities. Created for comfort, this room is the perfect category for leisure guests and business delegates to return to at the end of each day. It has a soothing decor with uplifting views over the pool and vertical garden. The en-suite bathroom is a functional facility with a shower and vanity.